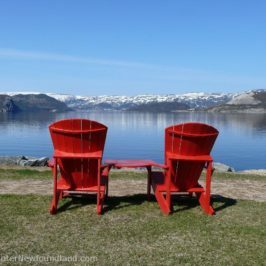 One of the first things you’ll notice upon your arrival in St. Anthony, a small town at the tip of Newfoundland’s Great Northern Peninsula, is the ubiquitous presence of the name Grenfell. At every turn, buildings, businesses and streets bear the moniker. Even before you set foot in the town proper, highway signs proclaim it to be the domain of Grenfell. But just who was this Grenfell fellow, and why is it that his name adorns everything from hotels to grocery stores to parks? A statue of Sir Wilfred Thomason Grenfell, doctor’s bag in hand, stands in front of the Grenfell Interpretation center in St. Anthony, NL. Sir Wilfred Thomason Grenfell was a physician and Christian Evangelical missionary, who in 1892 came from England to investigate the state of the Northern Fishery in Labrador and to preach the word of God to the native peoples of the region. Discovering upon his arrival that the people were living in extreme poverty and sorely in need of medical care, Dr. Grenfell undertook to alleviate their suffering on every level and devoted the entirety of his life to this ambitious goal. 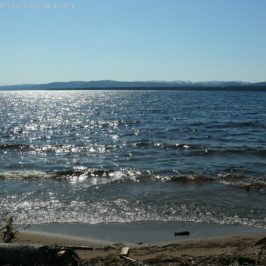 For the next 48 years he traveled the Labrador coast, treating the people for the tuberculosis, scurvy and beriberi, which were rampant. But the good doctor didn’t stop there. 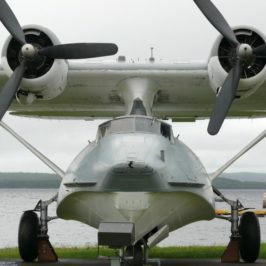 Along with ministering to the ill and infirm—very often traveling by dog team over the ice in unimaginably harsh weather conditions—he established orphanages and schools, built hospitals and recruited medical personnel to man them, and set up cooperatives and industrial work projects in an effort to improve the lives of the Labrador people. 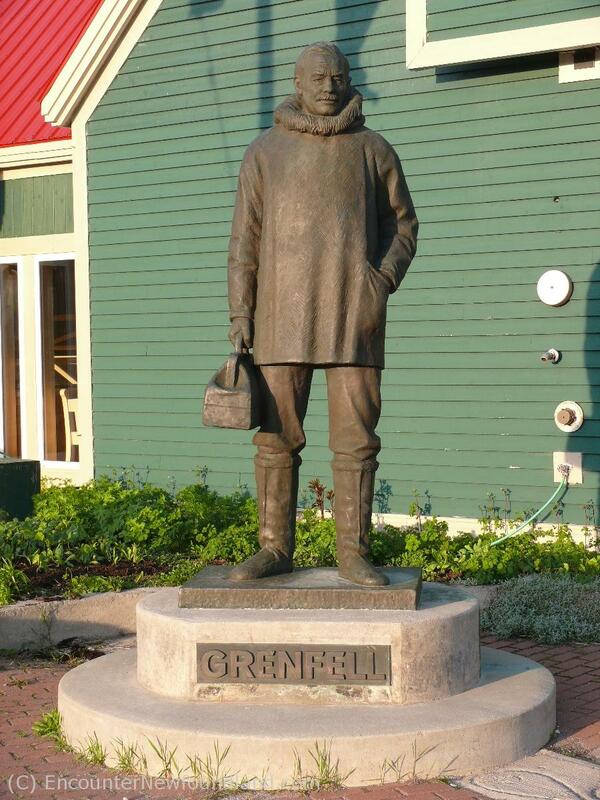 Dr. Grenfell’s mission soon expanded to include all the aboriginal inhabitants and settlers along both the Labrador coast and the eastern shore of the Great Northern peninsula, and today he is largely credited with saving an entire people. So far reaching and meritorious were Grenfell’s accomplishments that he was eventually knighted for his service to the people. He is now accorded his own feast day on the liturgical calendar of the Lutheran Church and is memorialized in stained glass at the National Cathedral in Washington D.C., where he is depicted standing at the left hand of Jesus Christ himself. 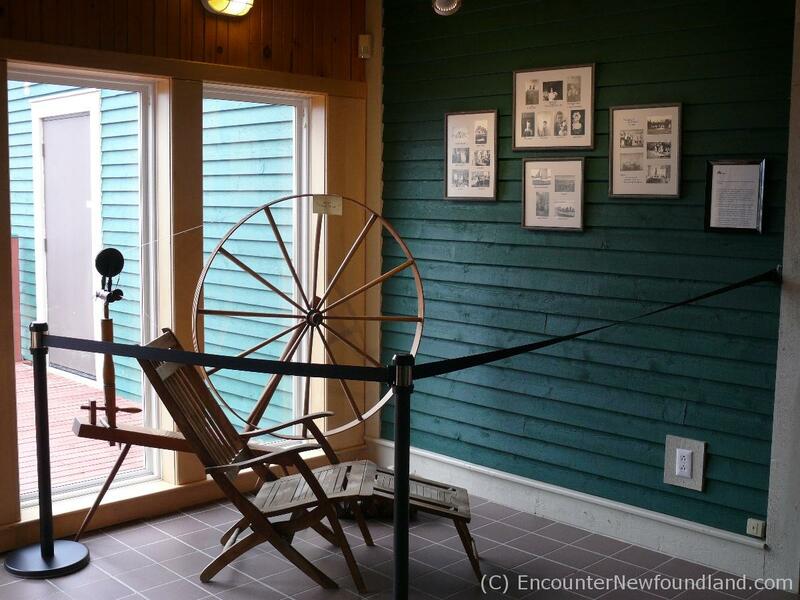 One of many displays inside the Grenfell Interpretation Center that help tell the story of Dr. Grenfell and the people of Labrador and Northern Newfoundland. 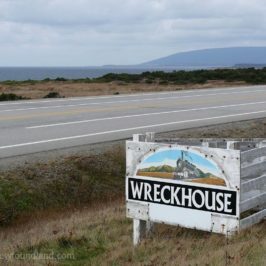 Grenfell was, and still is, greatly revered in these parts, and knowing the history lessens the bafflement at roadside signage that exhorts visitors to partake of the “Grenfell Experience” while in the St. Anthony area. And partake you should, as said experience will perhaps tell you more about the people and culture of this region than anything else you’ll see or do while you’re there. Visitors can get to know the man and his legacy through a tour of the Grenfell Historic Properties. 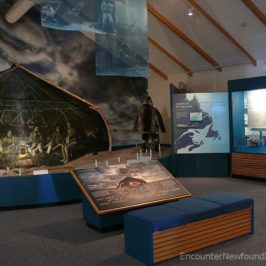 At the Grenfell Interpretation Center you can acquire an introduction to the life and work of this remarkable man, beginning with a 14 minute video outlining his life and accomplishments on the Labrador. It’s a highly recommended film, which provides in-your-face insight into the terrible poverty of the people, the harsh conditions under which the missionaries struggled to ease the suffering and hardship, and the determination and stamina required on both sides. It’s 14 minutes well spent. 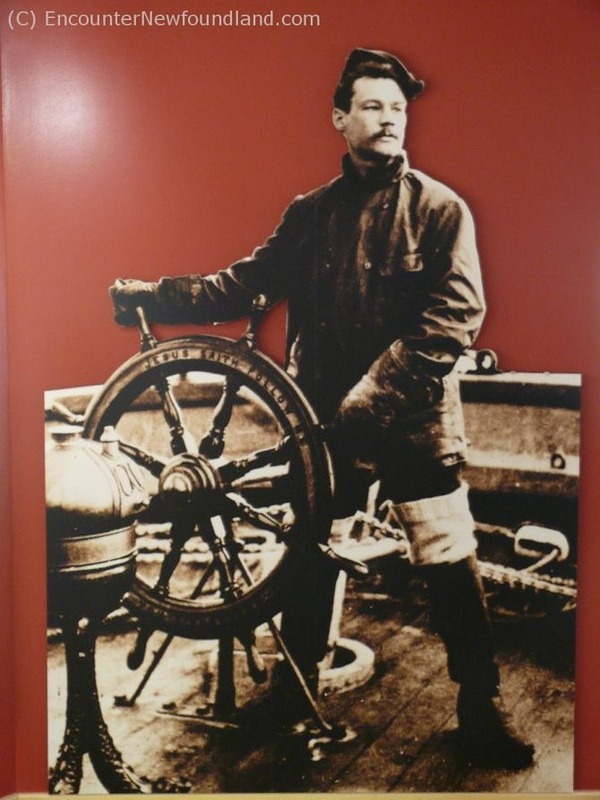 A photo of a young Wilfred Grenfell graces the entrance to the interpretive gallery at the Grenfell Center. 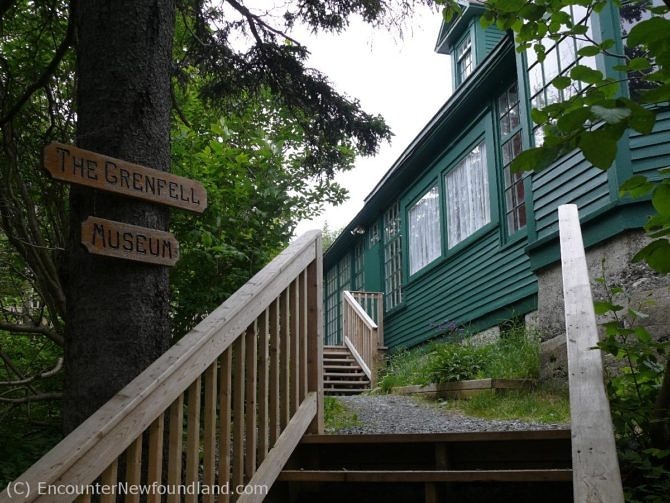 Follow that up with a self-guided tour through the gallery of interpretive displays on-site, where you’ll find photos, artifacts and exhibits depicting the historical evolution of Northern Newfoundland and Labrador, the Grenfell Mission’s challenging work, particularly that of Grenfell himself, and the contribution made by his wife Anne Elizabeth Caldwell MacClanahan. Included in the gallery are such items as Dr. Grenfell’s dog sled, his surgical instruments and a selection of the many books he published. 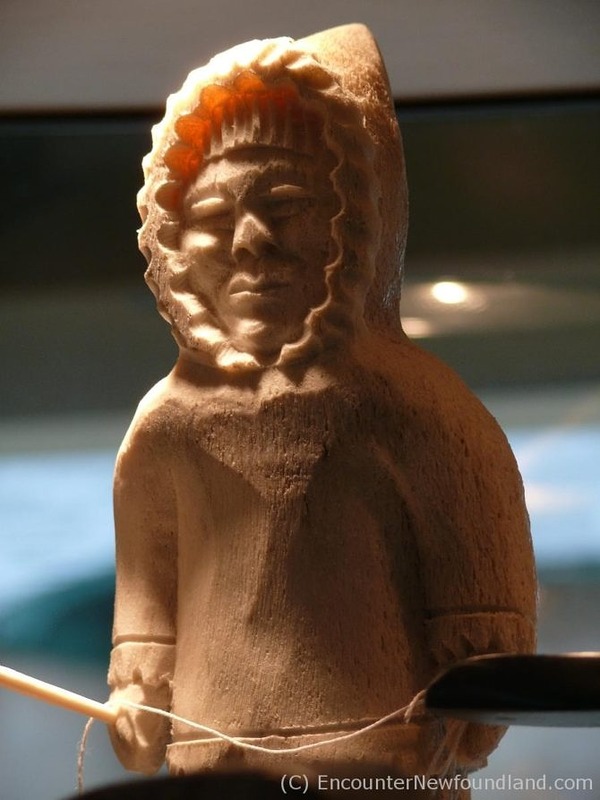 Bone carvings are among the unique handcrafted items on offer at Grenfell handicrafts. A gift and souvenir shop on the premises offers an exhaustive array of Grenfell merchandise as well as mementos of Newfoundland and Labrador. 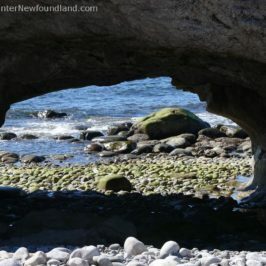 Pay a visit to Grenfell Handicrafts and you’ll be delighted with such unique items as original hooked rugs, bone and antler carvings, Labradorite jewelry and handmade seal skin gloves. Just browsing the shop is an education in itself. A shady walkway leads to the entrance of the fully restored Grenfell House, originally constructed circa 1909. Next up is the high point of the Grenfell experience: Grenfell House Museum. This is the dwelling where Dr. Grenfell and his wife Anne raised their three children while pursuing their mission to attend the needy. Built between 1909 and 1910, the home has been fully restored to it’s original state and affords a glimpse into the living arrangements of people of circumstance at the time. Living room, sun porch, bedrooms, kitchen and office are decorated with period furniture and are complete with items owned and used by the family, right down to Lady Grenfell’s silver tea set and Dr.Grenfell’s foot warmer. Of particular interest are the various photos and accolades adorning the upstairs walls, indicative of the lofty position Sir and Lady Grenfell held in society. There’s always a friendly interpretive guide on site to answer any questions you might have, so feel free to avail yourself of the comprehensive knowledge at hand. Dr. Grenfell, his wife Anne and several colleagues are interred in a rock on Tea Hill overlooking the town. Once you’ve toured the impressive home, be sure to make the pilgrimage up Tea Hill, so named for a tea house that once stood at its summit overlooking the town. 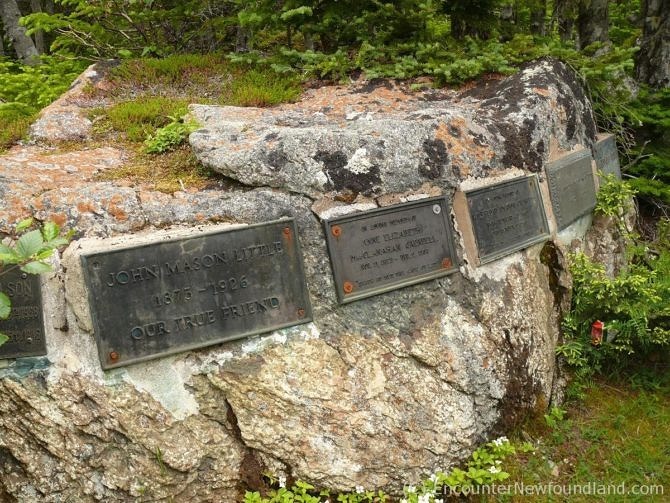 A lovely 20 minute walk takes you through serene woodland—with rest stops and interpretive panels along the way—to the spot where Dr. Grenfell, his wife and several of the mission doctors are interred in a lichen covered rock. Given the scope and impact of Dr. Grenfell’s ministry, it’s little wonder that so many locations and establishments in St. Anthony bear his name, and once you’ve had the Grenfell experience, you’ll realize why preservation of the legacy of this great man holds such importance in the community and why his memory lives on in the hearts and minds of the people of Labrador and the Great Northern Peninsula. At the end of the day, you’ll have had a very enlightening trip back in time, one that contributes to a better understanding of a people and a place too often forgotten. It is, by all measures, an experience worth having. Many thanks to the staff of the Grenfell Historic Properties for their kind cooperation during our visit, in particular Joshua Laing, our museum guide, for his patience, knowledge and sense of humor. Winter – open Mon. to Fri. from 8:00 a.m.to 5:00 p.m.